Jennifer D. Johnsen, 67, a native of Long Island, New York, and a resident of Mobile, Alabama, passed away on Thursday, March 21, 2019. Jennifer was probably known best by being a “character” at heart. She loved making people laugh and had an amazing sense of humor. She once had the most beautiful, long hair and she loved having it brushed. Jennifer’s family meant the world to her, especially her precious grandkids. She was loved by all who knew her and everyone she knew lovingly called her “Mama”. She will be dearly missed. Jennifer is preceded in death by her daughter, Wendy Melissa Cox; her mother and father Grace and James Johnsen, her fur- baby, Rocky; and some of her best friends, Patricia Steen, Sharon Craig, and Tracy Thompson. She is survived by her children, Edward (Tami) Cox, James (Melanie) Cox, Kenneth (Sarah) Cox, Brian Cox, Nicole Moseley (Bobby) Cassada, Terry Moseley and Reginal “Junior” Moseley; thirty-two grandchildren, and two on the way; and one great-grandchild; and her best friend, Christine Hatfield. Expressions of condolence for the family may be made at www.hughesfh.com. Hughes Funeral Home, 7951 America Way, Daphne, AL, is assisting the family. So sorry for your loss, momma was a lady, she will be missed. May God Bless your family, and keep you strong in your time of grief. No more pain or suffering. She now has wings. Love you all and God Bless. What a beautiful soul. Jennifer and I were old friends but she was always in my heart as she always will be. My love to all and prayers for comfort.. Such a strong and remarkable woman. She will be greatly missed. I will never forget the times I got with her, the one on one chats. My heart goes out to the family and especially you, Nicole. You are amazing and strong and were there for her always. The times I shared with both, you and her, were amazing and memorable. And I will cherish them forever. She most definitely won’t be forgotten, but will be missed. I love you guys and we are thinking of you. 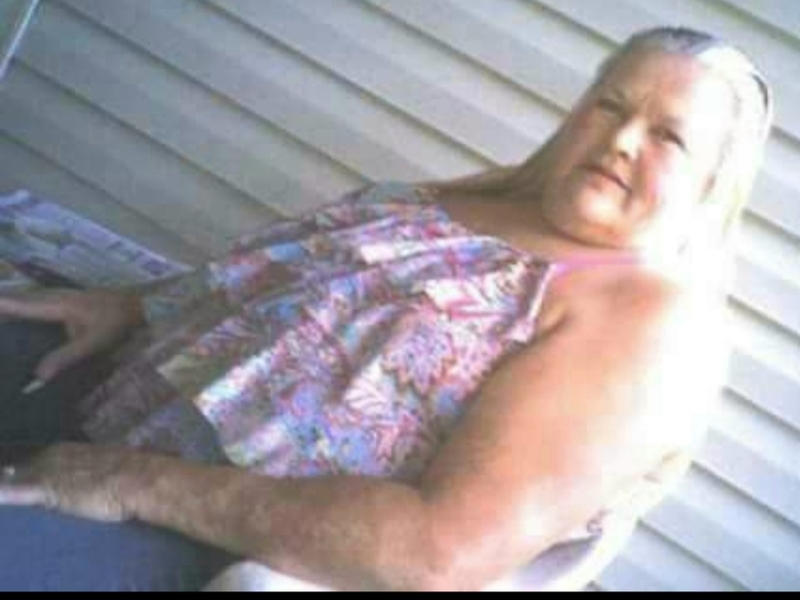 Love you Mama and may you rest peacefully. Thank you all for the love and support In this hard time in our lives. I would not be as strong as I am today without the women who molded me. We will hold a service at Bald River Falls in Tellico Plains Tn. On May 17th, 2019 with a cookout at Indian boundary to follow with a weekend of camping. I will be supplying the meat, if you can bring a side dish it’s much appreciated. Thank you all.